1 Pint of our own Maple Syrup with a 2 lb. 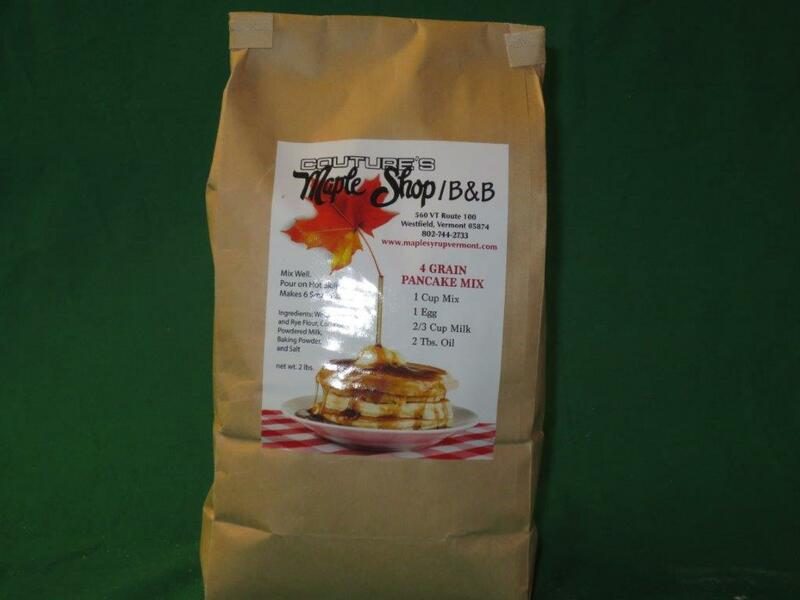 bag of 4-grain Pancake Mix. A perfect gift to make a very special breakfast! 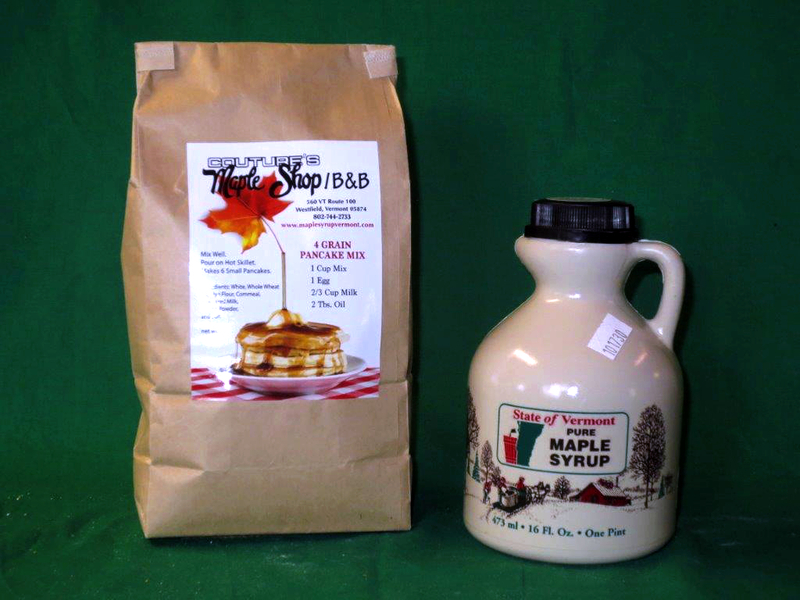 1 qt maple syrup, 1- 2lb. 4-grain pancake mix, 9 oz. 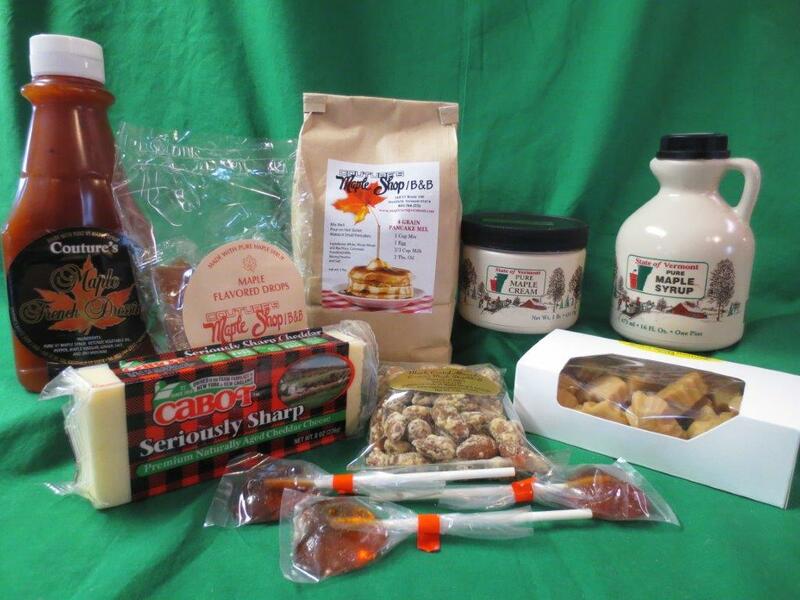 candy box, Maple coated almonds and peanuts, Maple Hard drops and 3 Maple lollipops and gift box. Hard Maple Leaf Candy. 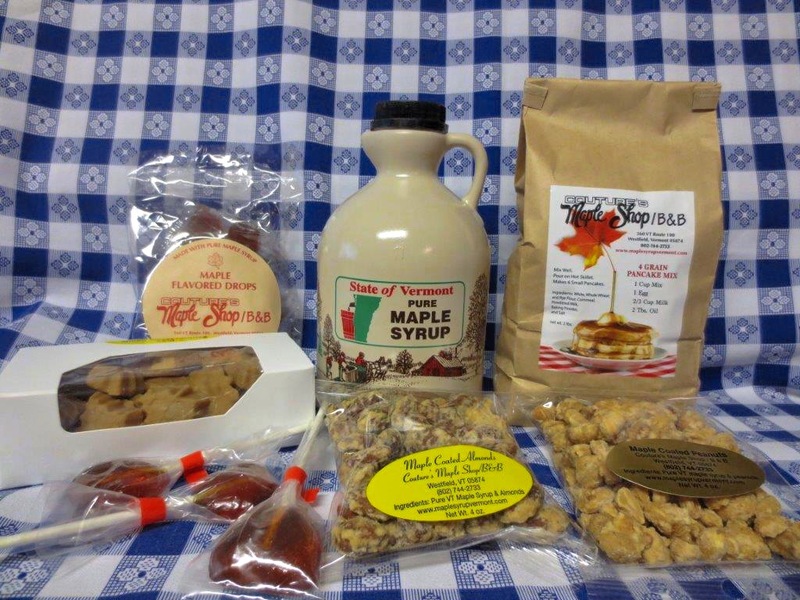 Made with pure maple syrup and sugar. 24 pieces, each individually wrapped, in a 5 oz. bag. 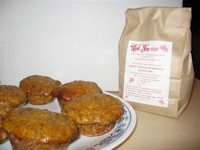 Mama’s Maple Special Organic Popcorn Made with our Organic maple syrup. A nice blend of slightly salty and sweet. Maple Cotton Candy. For the young at heart! Now you can enjoy this delicious treat any time of the year!